Ethnic cleansing of Doctors in Pakistan - Does the Consulate General Pakistan in Manchester care! A very organised campaign on murdering medical doctors is being carried out in Karachi Pakistan. 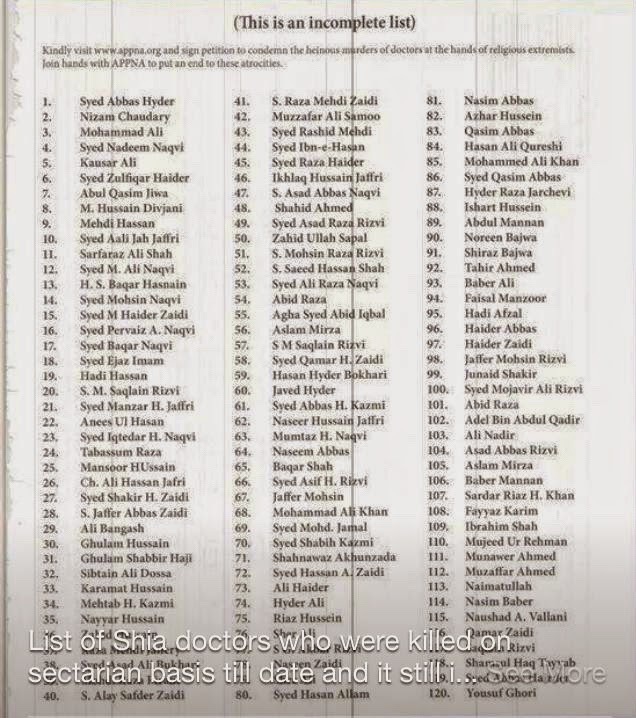 Majority of the murdered doctors belong to Shia minority who have been and are a target of ethnic cleansing being carried out by well known religious extremist outfits. There is no evidence that law enforcement agencies in Pakistan are capable of dealing with this menace and provide security to those whose job it is to save lives. Numbers of medical professionals murdered in cold blood now runs in hundreds. Association of Doctors of Pakistani origin in the US produced a list of names of victims of this organised campaign. The list which is up to date as of last summer paints a chilling picture. 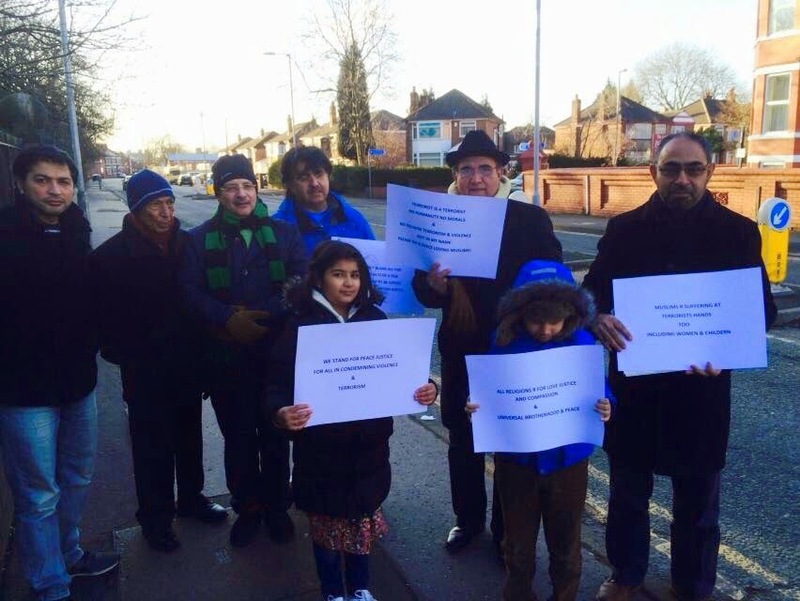 Concerned medical professionals and other members of the Pakistani community in the North West have been running an awareness campaign on this issue and launched a petition that was signed by hundreds of concerned citizens of Pakistani origin. 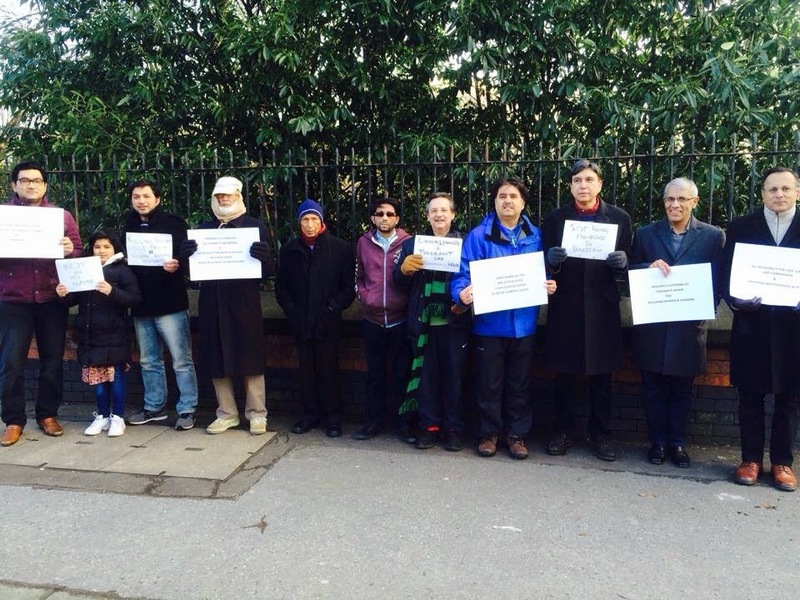 On Sunday February 1, 2015 a group of representatives staged a vigil in front of the Consulate General in Manchester and planned to present the signed petition to the Consul General. Authorities at the Consulate were informed and Greater Manchester Police were at there helpful best to facilitate a peaceful and silent vigil. Representatives of the community held the vigil in freezing cold temperature with a significant support from passer-byes. It is greatly disappointing that no one from the Consulate General turned up to receive the petition. Couple of Consulate staff were visible inside the building taking photos of the vigil using their smart phone but did not engage with the members of the vigil or came out to receive the petition. The vigil today was a non-political, non-partisan act by members of civil society who want the government in Pakistan to engage and act. Treatment and response from the Consulate General in Manchester begs the question whether the authorities in Pakistan and their representatives in Manchester care about the on going ethnic cleansing of medical profession in Pakistan and are willing to engage with the civil society.